Soft x-rays are absorbed very easly by matter. They can't go through metal, and mirrors can't reflect them. 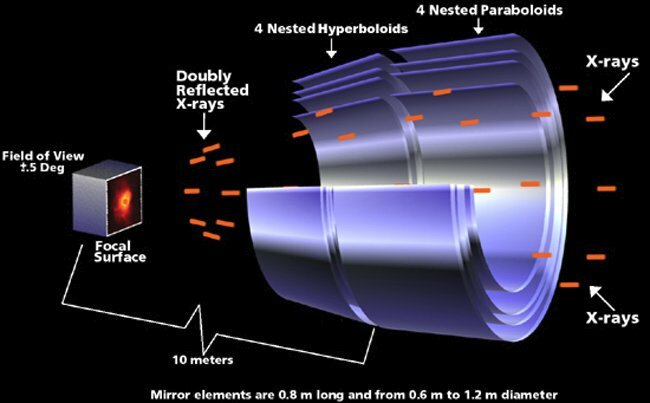 Except - mirrors can reflect soft x-rays if the soft rays are incident on the surface at very shallow angles. This is called grazing incidence reflection. Using grazing incidence reflection, it is possible to make a series of slight curved concentric tubes that guide the x-rays toward a focal point.